The HPE spares program is intended to provide more immediate access to genuine, high-quality, manufacturer-warranted spare parts. This is achieved by concentrating distribution efforts through a select group of business partners for the most common components in HPE’s industry standard ProLiant servers and networking product lines. 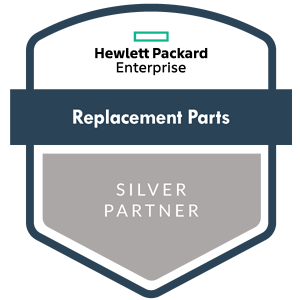 In order to become a Silver HPE Replacement Parts Partner, a company must maintain specific volume requirements, stocking levels, and possess broad logistical capabilities.